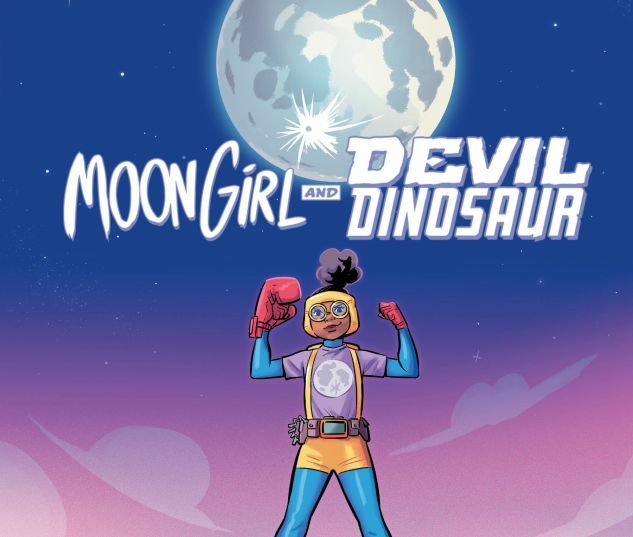 Collects Moon Girl and Devil Dinosaur #1-12. Lunella Lafayette is a preteen genius who wants to change the world! That job would be a lot easier if she wasn’t living in mortal fear of her latent Inhuman gene. Just when she thinks she’s found a solution, Lunella’s life is turned upside down when a red-scaled beast is teleported from the prehistoric past to a far-fl ung future we call…today! 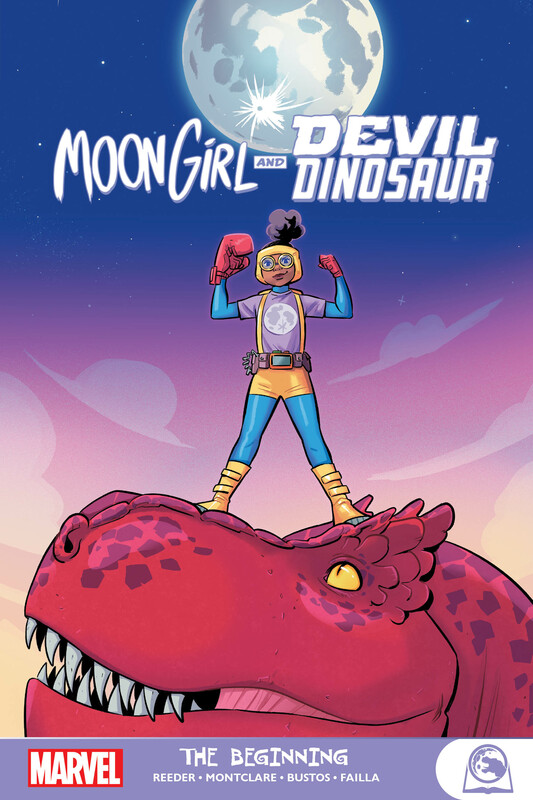 Together they’re the most Marvelous Team-Up of all — Moon Girl and Devil Dinosaur! But will they be BFFs forever, or just until DD’s dinner time? When the Terrigen Cloud fi nally finds Luna Lafayette, her transformation isn’t what you might expect! Plus: The most wanted T. rex in NYC is running out of places to lie low — a problem that won’t get any easier when our darling duo undergo a body swap! It’s a big change-up that will see Luna spending a freaky Friday (or whatever day it happens to be) as Devil Dinosaur, and vice versa! Luna’s got a huge future in the Marvel Universe, if only she can survive the present!